Interested in trying some new spots for desserts in San Jose? You're in luck: we've found the freshest businesses to fill the bill. Here are the newest places to check out the next time you're in the mood for some sweets. Kandoo Patisserie & Cafe is the brainchild of Iranian baker Shaf Hamid Farahani. Visitors can sit with coffee or tea while enjoying one of the dozens of pastry and cookie options. Specialties include the coconut cookie, a pomegranate tart, various roulettes and a Persian macaroon. 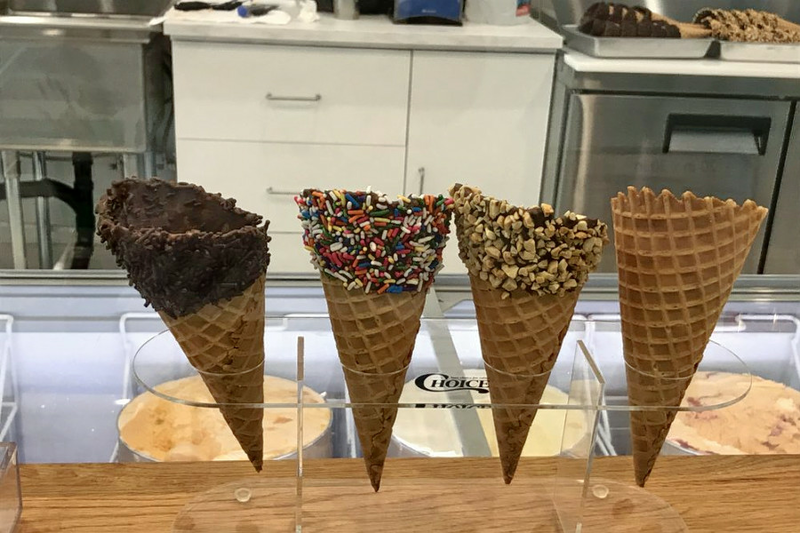 House-made Persian-style ice cream is available, and you can use this shop for your special occasion cake needs, too. With a five-star Yelp rating out of six reviews, Kandoo Patisserie & Cafe has been getting positive attention. 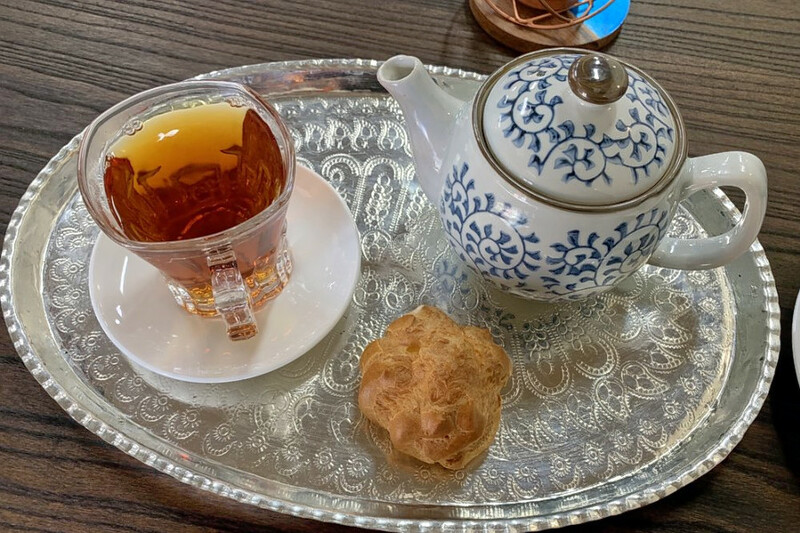 Yelper Nahal M., who reviewed Kandoo Patisserie & Cafe on December 29, wrote, "We had a huge party of about 30 people, and the owners were extremely accommodating. Some of the best Persian pastries I have ever tried." Hanna S. noted, "The tea and pastries are delicious here. Not to mention the owners are extremely hospitable and helpful." Kandoo is open from 9 a.m.-9 p.m. Monday-Thursday and 9 a.m.-10 p.m. Friday-Sunday. SJ Candy Kitchen is a new spot for sweets downtown. It offers more than 20 varieties of fudge, made fresh each day. There are English toffees, s'mores and peanut clusters among candies in glass cases. Milkshakes, sundaes, caramel apples and flavored popcorn are among the many additional temptations. SJ Candy Kitchen's current Yelp rating of 4.5 stars out of 10 reviews indicates positive attention from users. 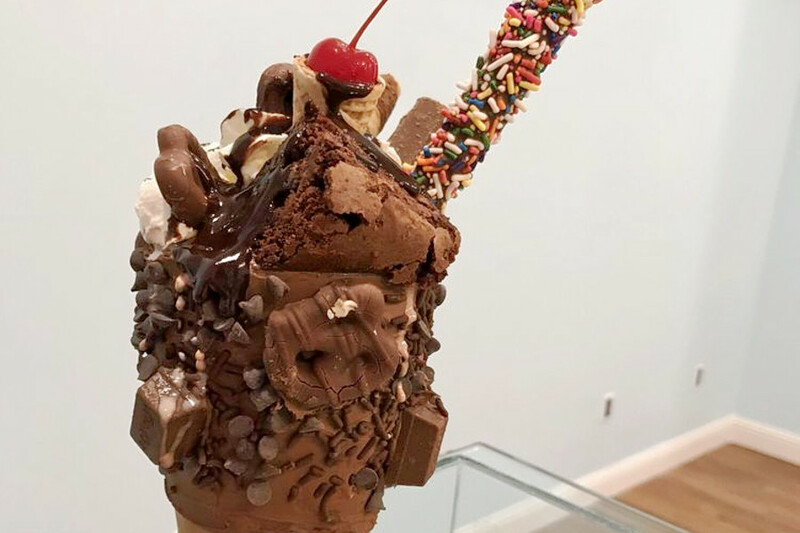 Yelper Adriana M., who reviewed SJ Candy Kitchen on October 31, wrote, "So many great options, but today I bought a milk chocolate pecan cluster, and it was amazing. If you don't have a sweet tooth, you can try their Sriracha or chile con limon popcorn. They also have a small selection of cookies." Persian P. noted, "Candy Kitchen is an awesome, fun place to get your sugar and ice cream fix. The staff is very friendly, their selections are amazing and everything tastes so fresh." SJ Candy Kitchen is open from 11 a.m.-9 p.m. Sunday-Thursday and 11 a.m.-10 p.m. on Friday and Saturday. Krazy Churros is another new option in the Silver Creek Plaza. 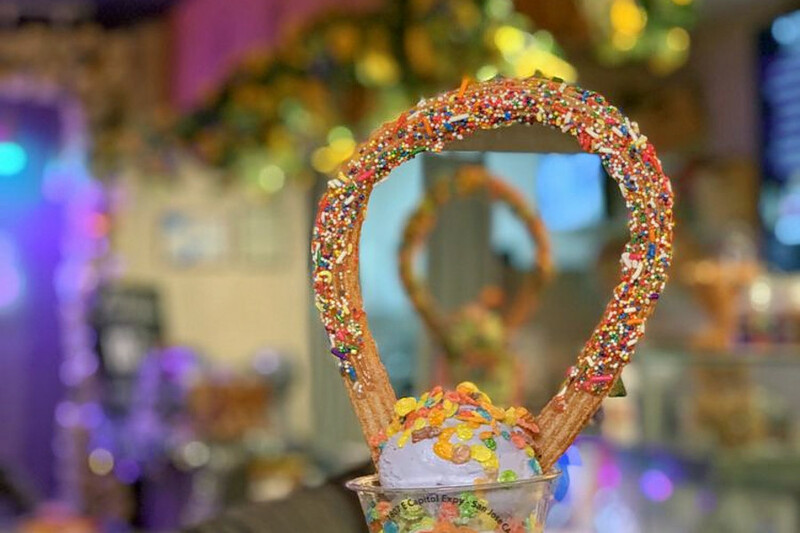 The family-friendly spot specializes in churro sundaes. The churros themselves are topped with the likes of sprinkles and Oreos or dipped in chocolate, then served with Mitchell's Ice Cream. In addition to churros, there are smoothies, milkshakes, fruit cocktails and milk teas. Krazy Churros currently holds 3.5 stars out of 135 reviews on Yelp, indicating fair reviews. Yelper Kenneth L., who was one of the first users to visit Krazy Churros on November 2, wrote, "The place had a nightclub feel to it (dimmed lights, loud music). The Churro Sundae was fun to eat. The tea was refreshing and tasty." Bao N. approved, "Krazy Churros source their rich and creamy ice cream from Mitchell's Ice Cream from San Francisco. It's absolutely delicious and would satisfy anyone's ice cream needs. So many wonderful flavors to choose from." Krazy Churros is open from noon-10 p.m. Sunday-Thursday and noon-11 p.m. on Friday and Saturday. Finally, B-909 Icy Tea (formerly Sno-Crave Tea House) is a spot for Asian-inspired desserts, plus coffee and tea. 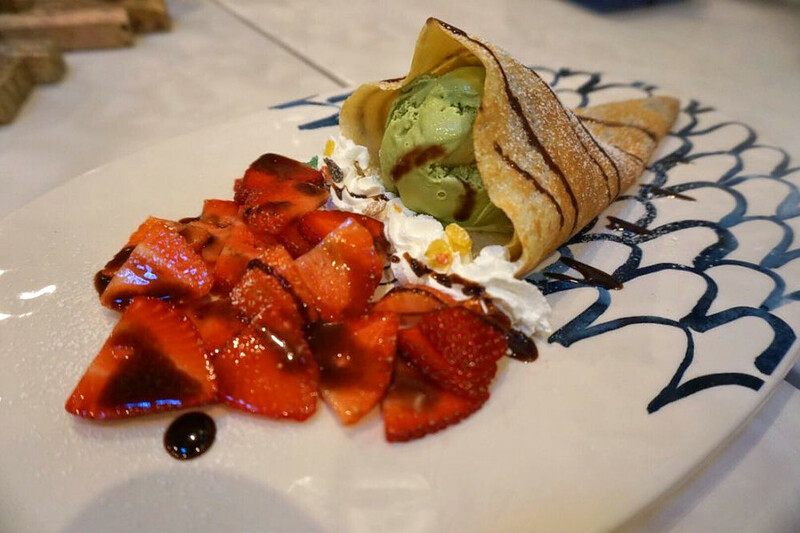 Desserts include shaved ice in flavors from green tea to mango, pastries and cream puffs, and honey toasts. There are cold drinks, like iced milk tea, fruit smoothies and mango slushies. Or go with hot teas, from oolong and jasmine to milk teas with toppings like jelly, chocolate sauce and popping boba. With a four-star rating out of 47 reviews on Yelp, B-909 Icy Tea has been getting positive attention. Yelper Tina L., who reviewed B-909 Icy Tea on January 5, wrote, "I was super disappointed when Sno-Crave shut down but quickly realized that this place is almost exactly the same. The service was friendly and attentive, and I've always really enjoyed the ambiance of this place. It always makes for a good hangout spot with friends." James H. noted, "I only had the Oreo shake but I can't complain. It was good and even had a few Oreos inside. The place was packed an hour before closing. There weren't many places open late, but this spot was." B-909 Icy Tea is open from noon-midnight Thursday-Monday, 5 p.m.-midnight on Tuesday and 3 p.m.-midnight on Wednesday.